Heat oil in a non-stick frying pan,splutter mustard seeds,fenugreek powder,few curry leaves and then the raw mango pieces and saute them for 5 mins continuously. Let it cool and store it in an air-tight jar . put it in refrigerator. 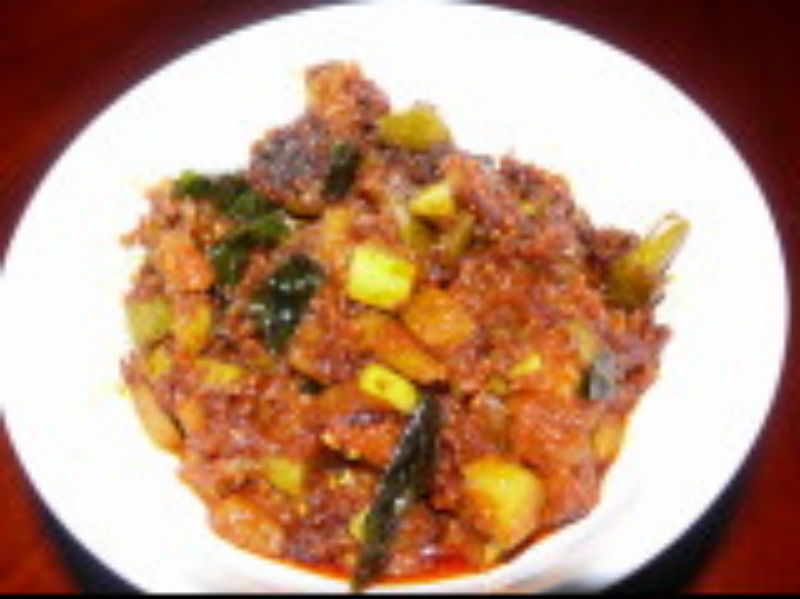 It goes very well with rice and sambar or yoghurt. Instead of adding mustard seeds, grind 1 tsp mustard seeds and 1 tsp fenugreek seeds together and add to the thokku first, when u heat the oil.